This is no ordinary shaker! 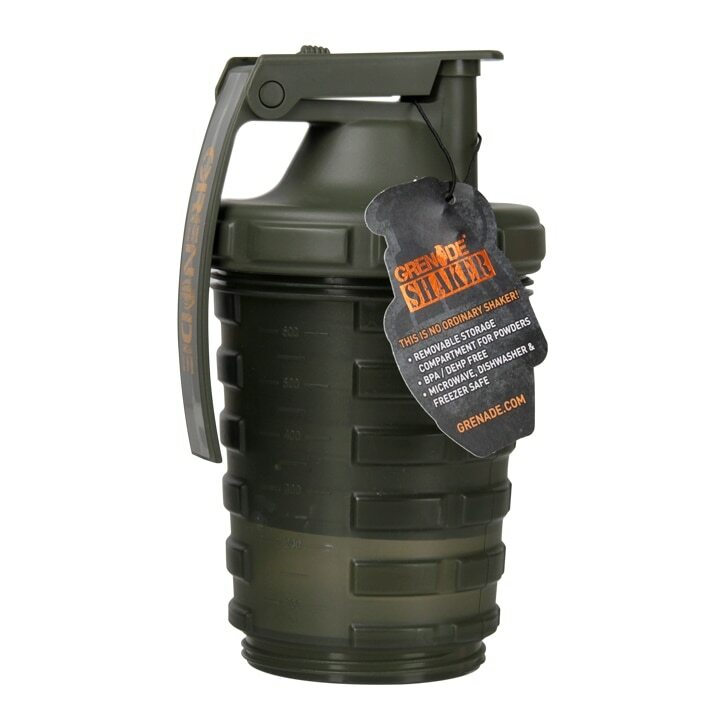 With its distinctive Grenade ® branding and patented design, it makes a statement! It has a removable storage compartment for powders, which can fit a scoop and approximately three full servings of Grenade ® Hydra 6 ™ protein and a convenient capsule storage section in the cap. Grenade Shaker is rated 3.0 out of 5 by 3. Rated 1 out of 5 by Augis from Looks like a toy It literately looks like a toy from my nephews collection! Not wat you want to carry around with you! And it's huge!